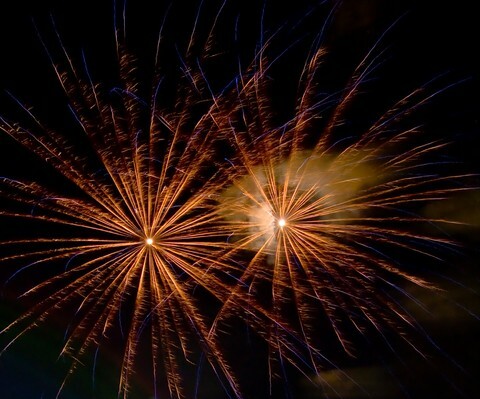 Want to find some Maui events to celebrate New Year’s Eve on your Maui vacation? Here are my top 3 for New Year's Eve 2013. Plus, where to get your tickets, how far in advance you need to book so you don't miss out, and pricing. 1) Spend New Year's Eve Cruising the High Seas! They offer a 3 hour New Year's Eve Cruise on Maui, departing from Maalaea Harbor. Their cruise features live music, gourmet desserts, a premium open bar, mouth-watering hors d'oeuvres, and a champagne toast at midnight. 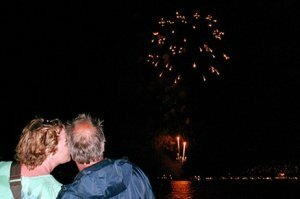 And to top it off, they even take you to a fireworks show at sea to celebrate the start of the New Year! Be sure to book early, because they sell out fast! 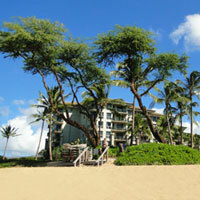 For reservations, you can call them at 877-867-7433 or 808-242-0955. Don't miss out, and book your tickets as soon as possible - the beginning of October is NOT too early, since they are often sold out by then end of that month! Worst case, if they are sold out, you can sign up for their waitlist - guests are allowed to cancel with at least 48 hours notice, so you might luck out and snag a ticket that way! 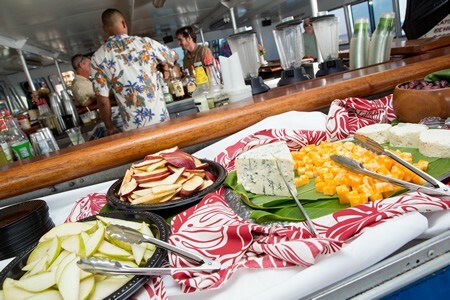 This year's guests of the cocktail cruise will enjoy the live Hawaiian entertainment and chef-prepared hors d'oeuvres at sea. If you like the idea of celebrating your Maui HI vacation New Year's Eve at sea, and the Pride of Maui with their fireworks show is sold out, then I think the Pacific Whale Foundation would make a great second choice! They have a very good reputation, and have been in business for many years. For more information or reservations, contact the Pacific Whale Foundation at 1-808-249-8811. Alternatively, you can book on-line (and snag that on-line booking discount!) This event doesn't sell out as fast as the Pride of Maui, but if I were you, I'd still try to book as soon as possible - there are usually still some tickets available in early November, but it's anyone's guess how soon they'll sell out after that. 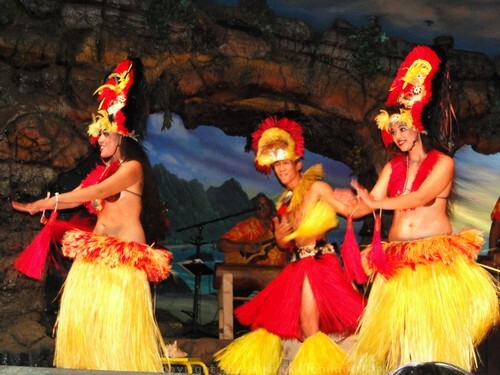 2) Hula the Night Away at the Drums of the Pacific Luau! 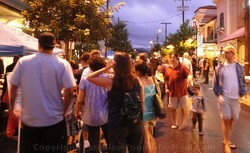 This would be one of those Maui events that is definitely NOT your typical mainland New Year's celebration! Guests of the Hyatt Regency Maui Drums of the Pacific Luau will enjoy an extra special performance of their Polynesian Revue with a New Year's Eve countdown and a fire knife finale! 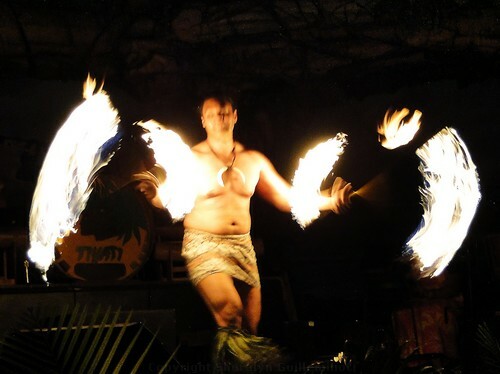 Talk about a cool Maui event to ring in the New Year on your Maui HI vacation! A special desert extravaganza which will include all kinds of delectable treats! As a girl who has a serious sweet tooth, I must say the thought of their desert extravaganza is making my mouth water as I write this! Now keep in mind that this will cost you more than it would if you went to the Drums of the Pacific Luau on a regular night... but since it will most definitely make for a memorable New Year's Eve on your Maui HI vacation, it is FOR SURE worth considering! For more information or Drums of the Pacific Luau reservations, contact the Hyatt Regency Maui at 1-808-661-1234 or view details on their website. *Note* They will be running both their regular early evening Drums of the Pacific Luau show AND the special late-night New Year's Eve performance later on... so be sure to specify which one you want tickets for - I'd hate for anyone to accidentally book the wrong show and end up disappointed! 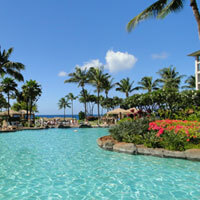 3) Celebrate New Year's Eve at Hawaii's Most Hawaiian Hotel! Dancing, party games, party favours and more! As of now (end of October 2013,) seating is still wide open for this event, so you should have plenty of time to book your tickets. 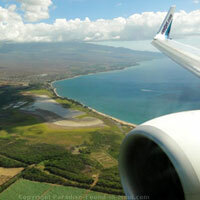 To find out about more fun Maui events on "The Valley Isle," see our Maui Events Calendar.